Crash, bang! The plates are dropped and a shout goes out! But what’s this? A funky rhythm is emerging. Experience the surprise of the Crashing Waiters! Any size group, any location worldwide and at any time! Our crashing waiters are incredibly flexible and deliver a memorable performance no matter how large or small your group is! Our Crashing or Singing Waiters are professionals; they’ve worked in the West End and have all the presence, charisma and most importantly, the voices to transform your evening. Crashing and Singing Waiters don’t only surprise your guests, they provide them with an experience that they’ll talk about long after your evening is over. Our waiters aren’t just entertainment; they are a whole phenomenal experience! 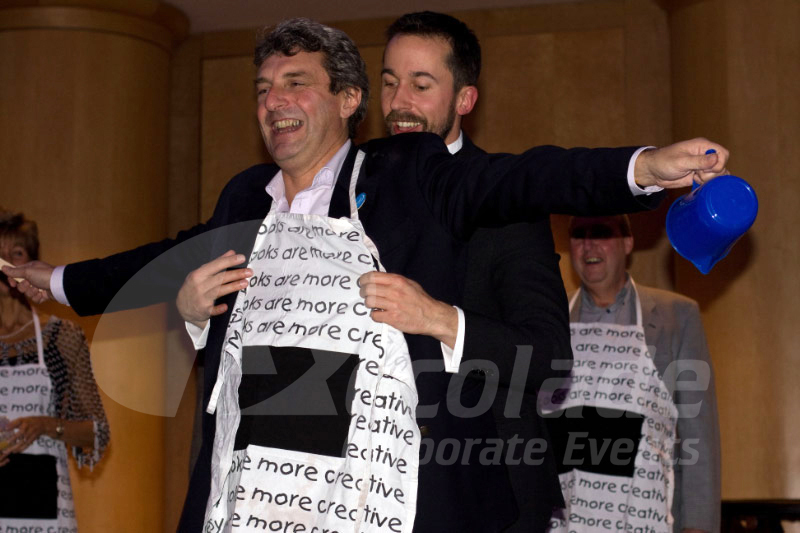 Surprise singing waiters add a magical and interactive element to your company dinner! 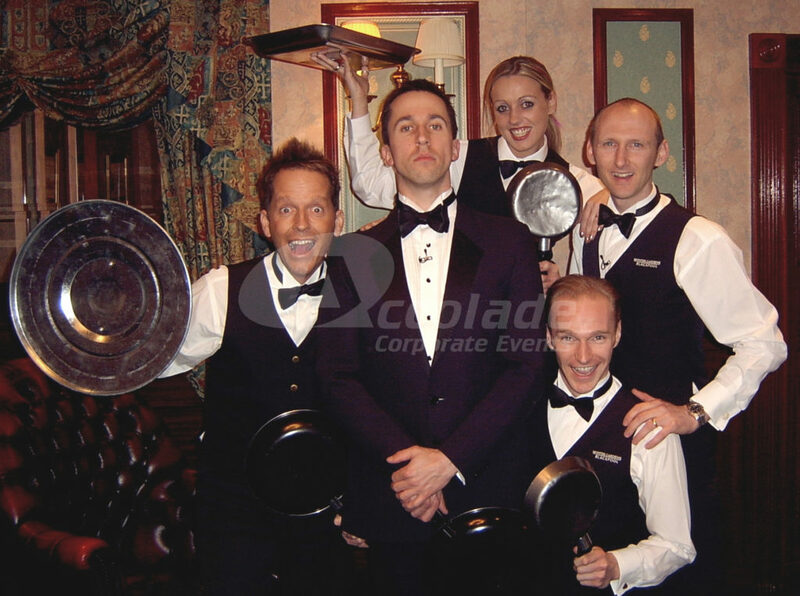 There are so many different ways that our waiters can burst into their performance at your event but what we can guarantee is that it’ll always be a huge surprise for your guests! They never fail to entertain and the feedback we get time and time again is always sheer delight! Our waiters know exactly how to work the room and deliver an exceptional and professional event. 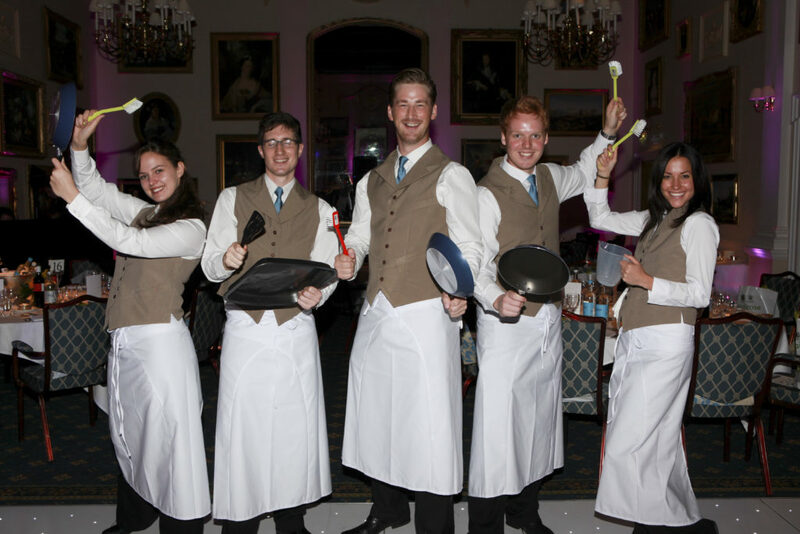 If you’d like to find out more about how our Crashing and Singing Waiters can enhance your event, then give our enthusiastic events team a call on 0800 083 1172; we’ll talk you through how they work and then send you a full proposal, including costs without any obligation. Want to consider another event for evening? Our awe inspiring authentic HAKA masters deliver an incredibly powerful and fun performance!